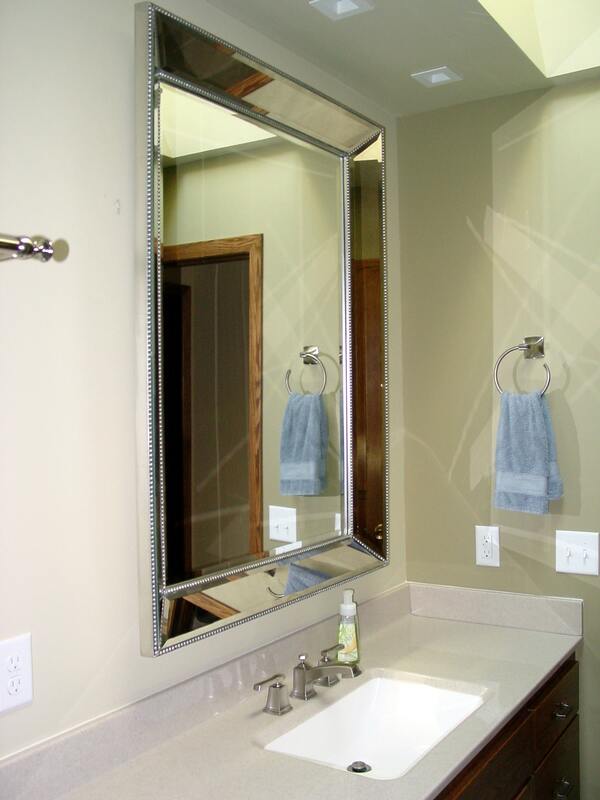 Bathroom Remodeling in Minnesota - Building Renewal, Inc. Welcome to our Bathrooms Gallery Page. Below is a sample of some of the bathroom remodel projects Building Renewal, Inc. has designed and built for our clients. From something as simple as a new shower, to a full renovation, Building Renewal, Inc. has the experience to help you create the bathroom you have always wanted. At Building Renewal, Inc. we will work with you to design a 100% custom space for you and your family to enjoy. Building Renewal, Inc. is a certified Onyx Dealer & Installer. View some of our many Onyx projects below. This main bath was outdated with your standard acrylic tub and surround. With a beautiful tiled shower in their lower level, the owners wanted to spruce up their main bath, while keeping it practical. Couple the HUGE alcove soaker tub (which fit in a standard tub opening) with the custom tiled shower surround, new tile floor, drywall repairs, and fresh paint, and the owners absolutely met their goal without breaking the bank. 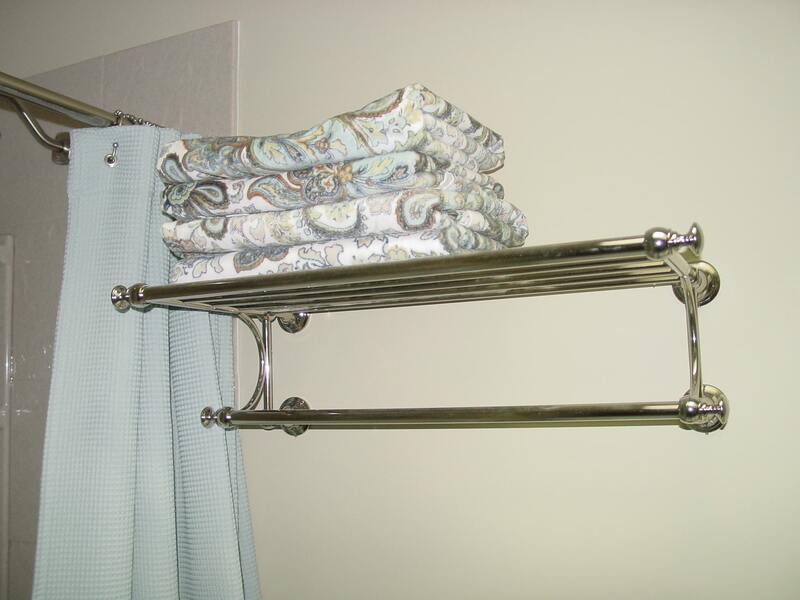 I thought the towel ring as a curtain holdback was a clever idea on the owners’ part. (I will be doing the same thing in my bathroom.) A very nice and versatile space to enjoy for many years to come. This large master bathroom was designed to give this house a more modern master suite. 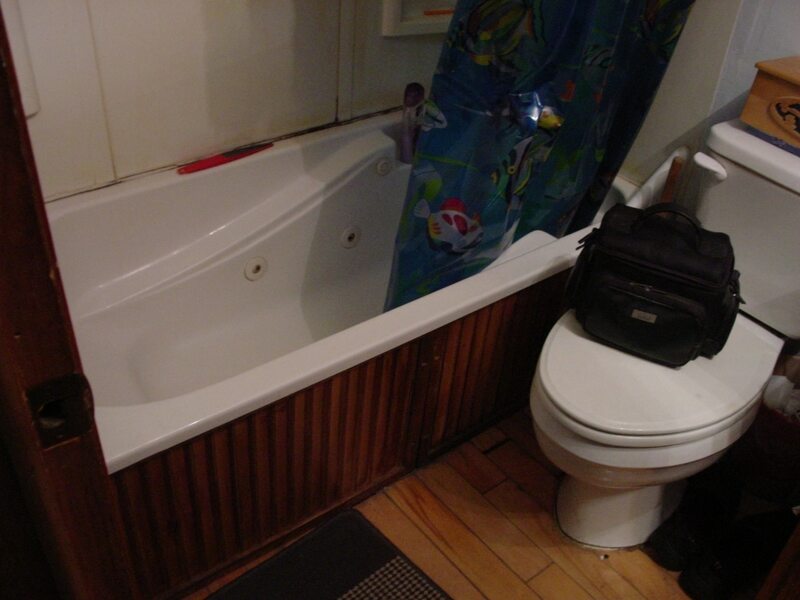 The existing bathroom had consisted of a corner tub with separate shower and an outdated vanity. The new floor plan consists of a large custom tiled corner shower, a water closet, custom vanity cabinetry, stone counter tops, and tiled floor. 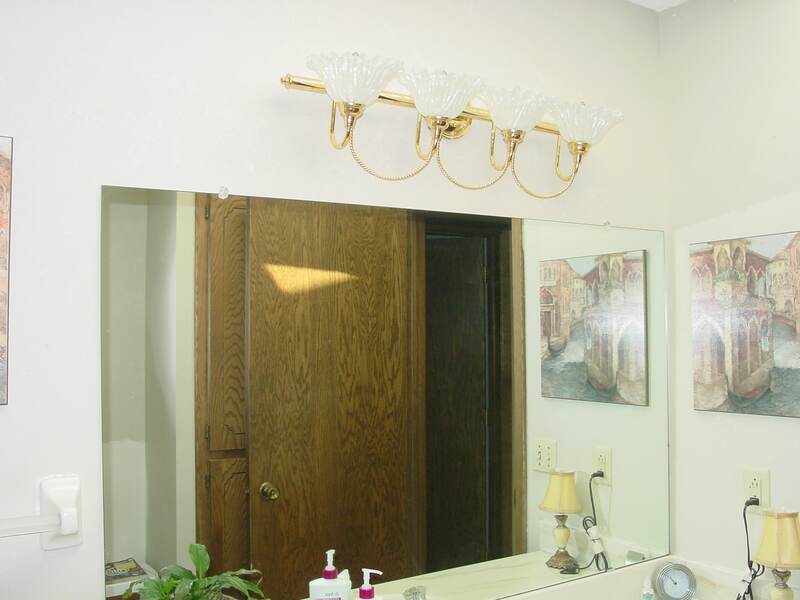 The 2 additional bathrooms received small face lifts with new counter tops and light fixtures to match the master suite. This bathroom was designed as part of a office/den remodel. 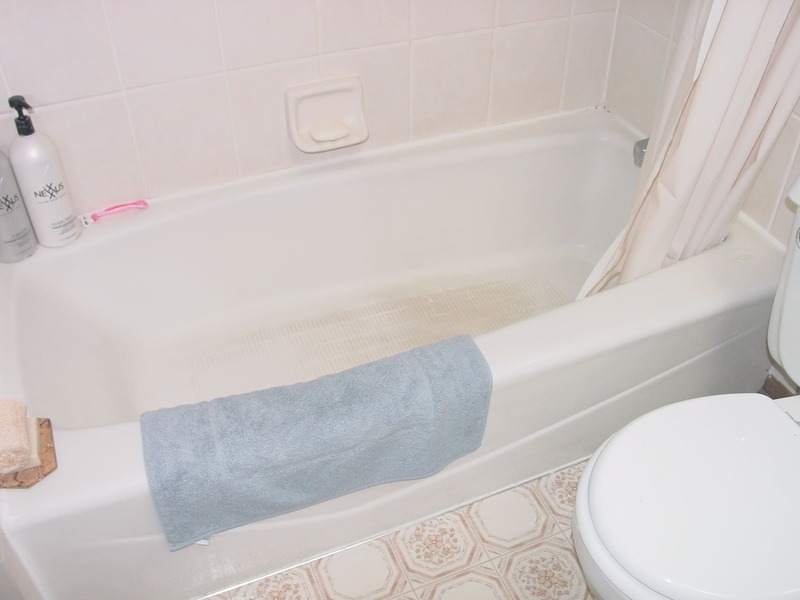 With limited space and no existing tub or shower, the tub was added by utilizing a small farm house style tub. This bathroom while short on space has plenty of amenities. Custom farmhouse tub with subway tile surround, compace vanity cabinet with custom stone top, recessed medicine cabinet to match the vanity, a compact elongated toilet, and tile floors. A beautiful design and customer selections to match the den area of their home. This master bathroom was taken down to the studs. The shower, tub, and water closet were changed to meet the new design. This bath features a soaker tub with custom tile surround, separate custom tile shower, heavy glass shower door, dual vanity with custom cabinet and stone tops, rounded out nicely with a ceramic tile floor. A very modern bathroom designed with comfort in mind. This main level bathroom was remodeled from the framing out. It included a new acrylic bath tub with subway tile surround, accented with a glass deco stripe and glass on the back walls of the niches. 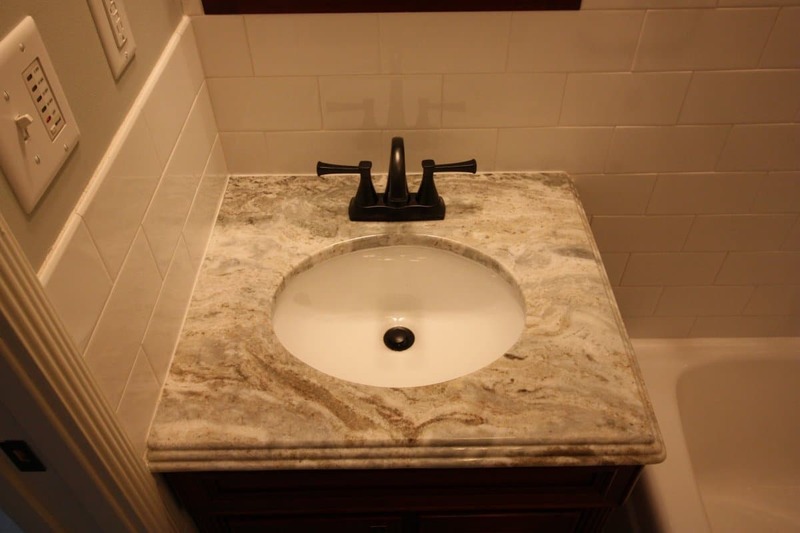 The extra large pedestal sink top gave the owner extra space, without sacrificing sink area. 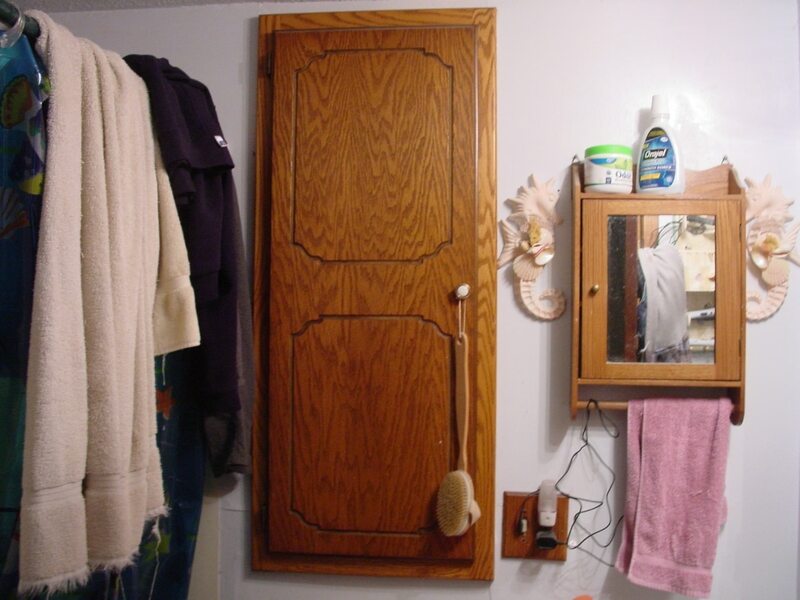 The custom closet with laundry chute trap door and wood grain porcelain floor tile round out this bathroom very nicely. This main level bathroom was remodeled from the framing out. It included a new air soaking tub with subway tile surround, accented with a natural stone deco stripe. The new shower was built with a custom shower pan, ceramic wall tile, natural stone floor tile and deco stripe, and a custom heavy glass frame-less sliding shower door. The large vanity top consists of natural granite top with an under mount sink and natural stone deco backsplash to match the tub and shower walls. The bathroom is finished with oil rubbed bronze fixtures and a wood grain porcelain tile floor. 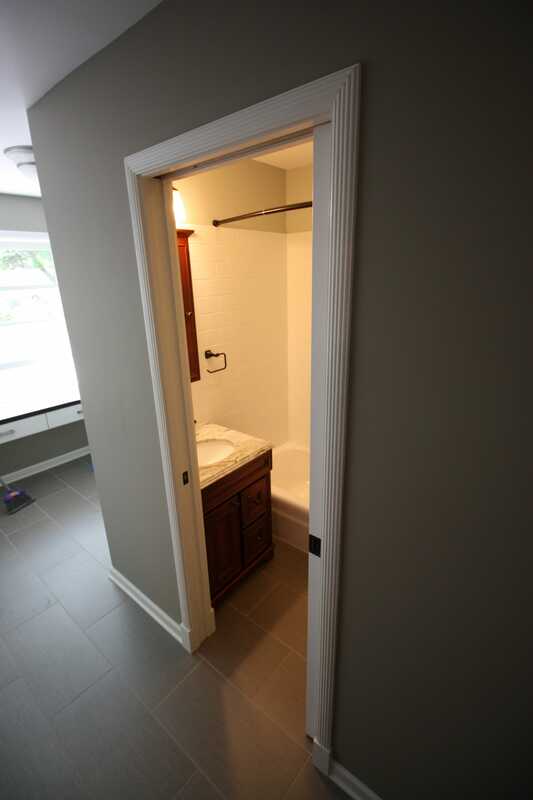 This small bathroom was completely remodeled from the framing out. 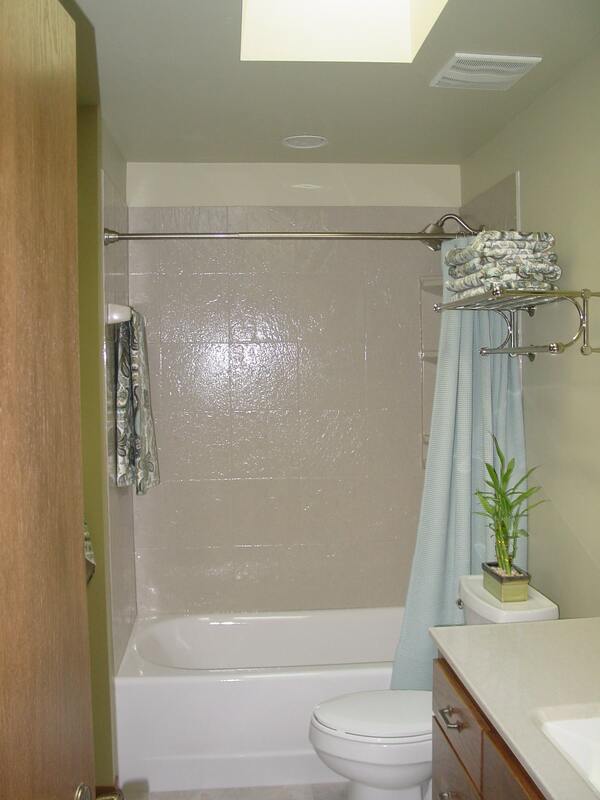 It included changing a corner neo-angle shower to a custom poured, walk-in, door-less tile shower. 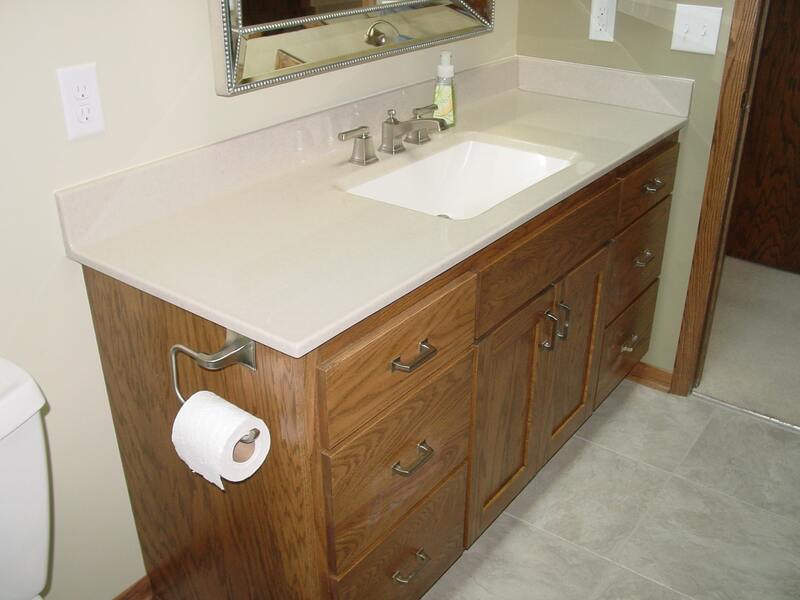 To stay within budget, the owner decided to reuse their existing vanity and face frame for the storage closet. This bathroom was finished using ceramic and natural stone tile, granite counter tops, and a heavy glass shower wall. 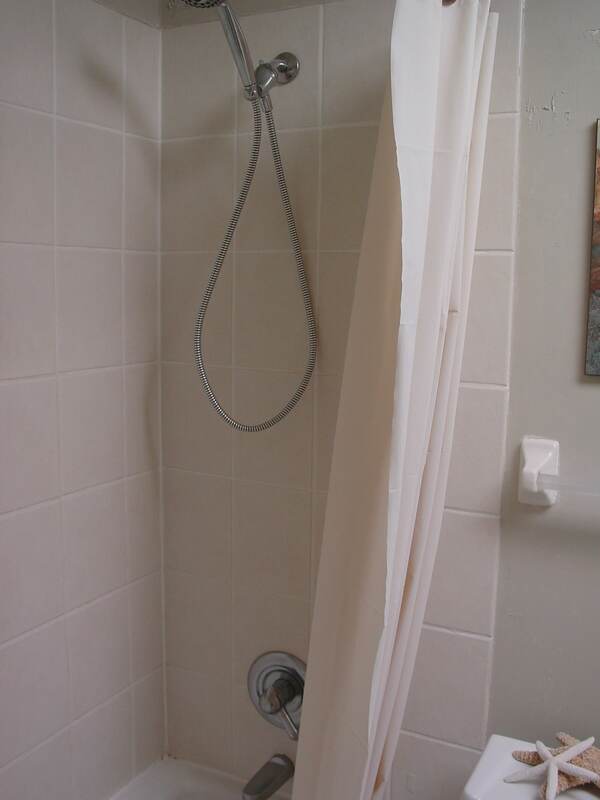 This corner shower was renovated from an existing neo-angle shower. 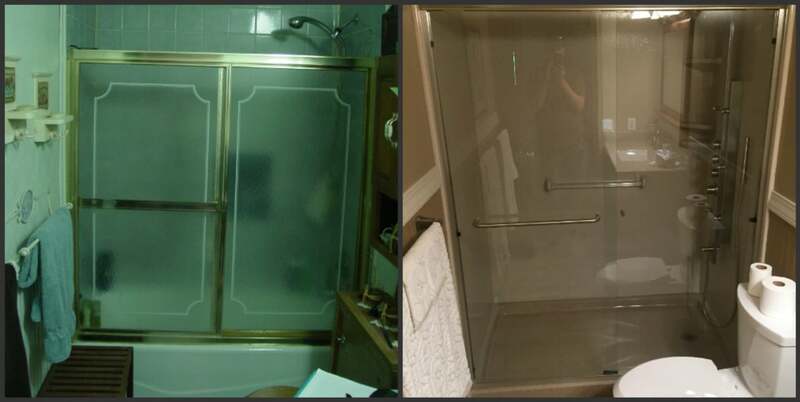 Building Renewal, Inc. worked with the customer to design and build a modern shower using a custom poured shower pan, ceramic subway wall tile, porcelain floor tile, and a heavy glass two wall enclosure with door and shelves. This medium size bathroom was completely remodeled from the framing out. 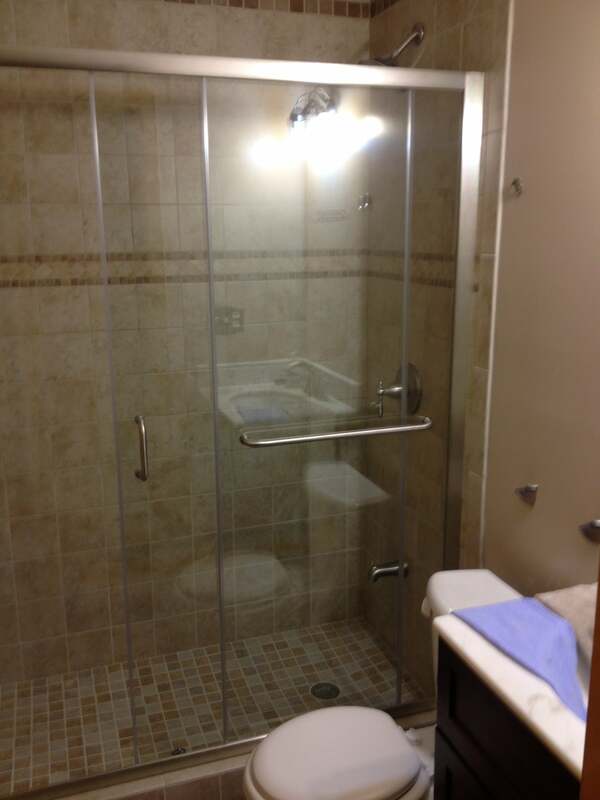 The shower and vanity locations were all relocated to better fit the space and needs of our customer. The Jacuzzi tub was framed in with a custom tile deck and surround. 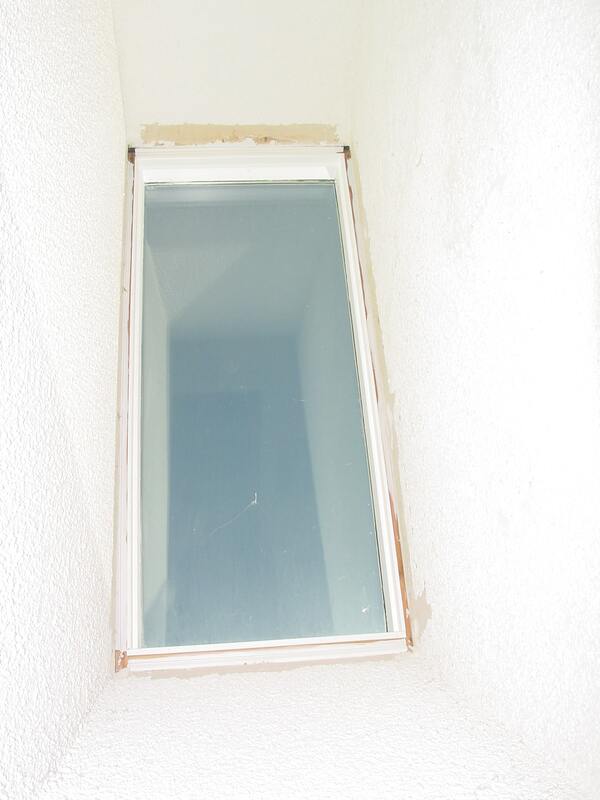 An access panel was installed at the back of the tub through a garage wall for access to the heater and pump. There is an access panel installed on the front of the tub surround for access to the drain and faucet valves. 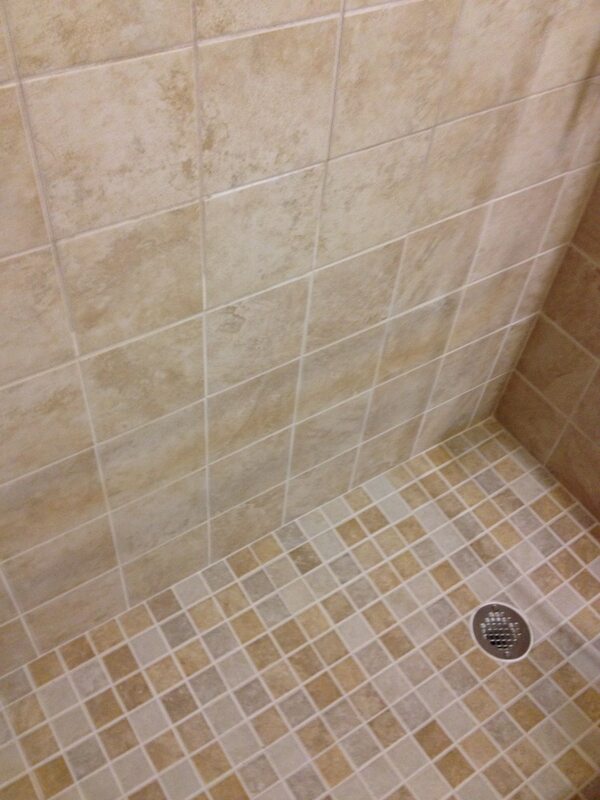 The front access panel is invisible in the tile and grout. The shower was made using a custom framed bench seat, custom poured shower pan, ceramic tile, and a no-door heavy glass wall enclosure. 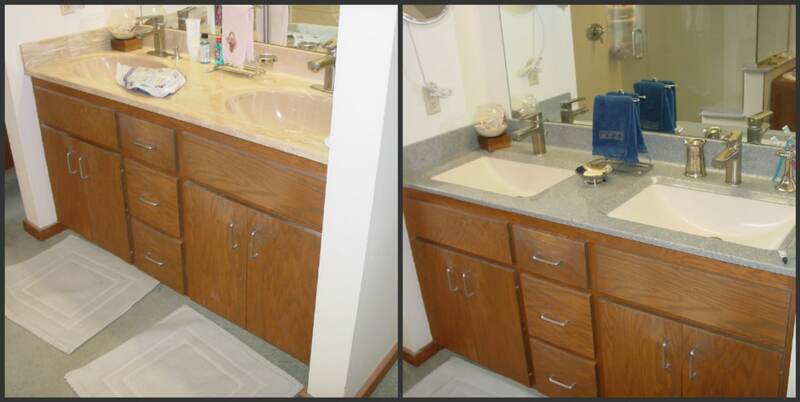 The medicine cabinet, vanity cabinet, and vanity top were designed and built custom for this project to fit the space. 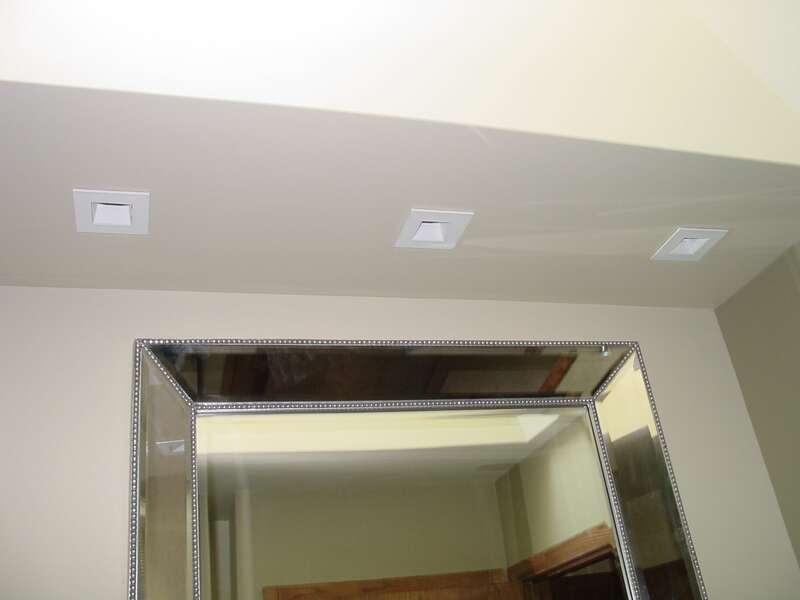 The customer chose to install their own mirrors after the project was complete. The hallway face-frame closet was also custom built to fit a “dead space” from the original construction of the home. This compact bathroom was remodeled at the same time as the neighboring laundry room. 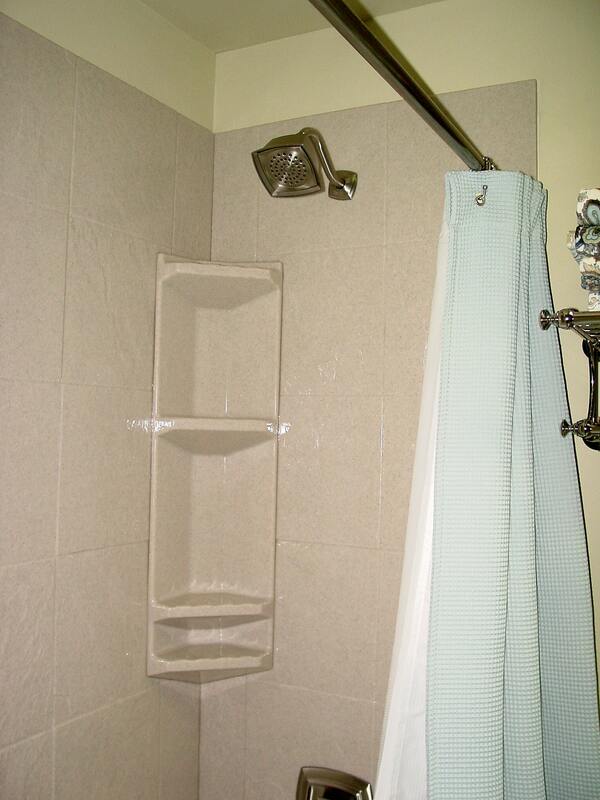 A neo-corner shower was installed to maximize storage space. The shower consists of a fiberglass shower pan, ceramic wall tile, random glass mosaic tile, and a frame-less heavy glass enclosure. The floor throughout the bathroom and laundry room is porcelain floor tile. The custom storage cabinet in the laundry room was designed and built by Building Renewal, Inc. to fit the space and specifications of our customer. This Onyx alcove shower stall was converted from an existing tub/shower combo. 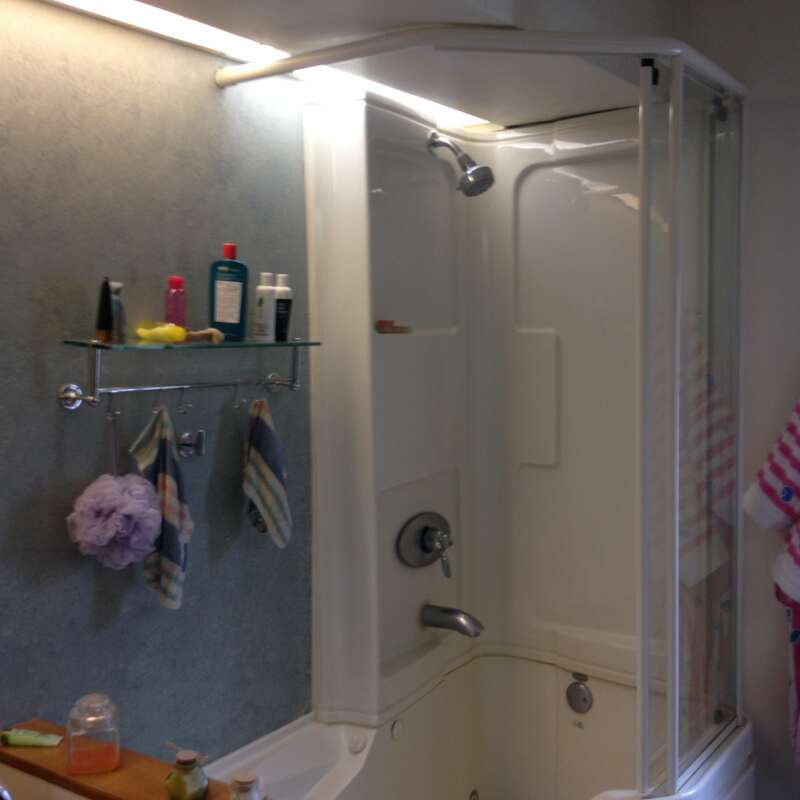 The customer chose a multi-function shower panel including body sprayers, hand shower, and overhead rain shower head. This Onyx shower was converted from an existing tub/shower combo. The shower bench was custom designed to blend into the half wall. 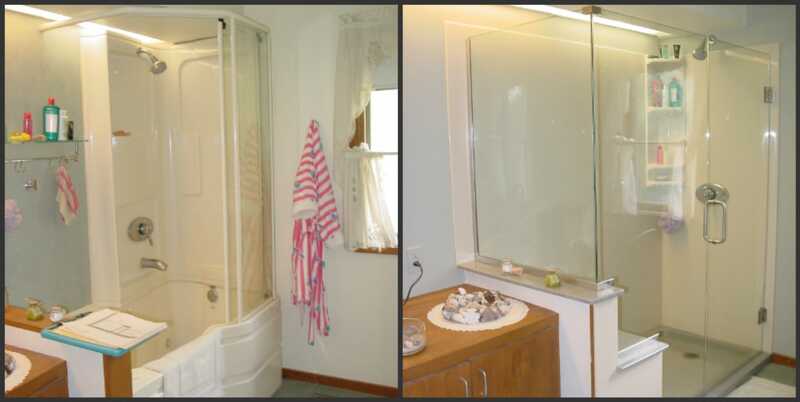 The custom frame-less heavy glass enclosure gave this shower a great finished look. This full bathroom was renovated from a mostly original 1950’s bathroom. 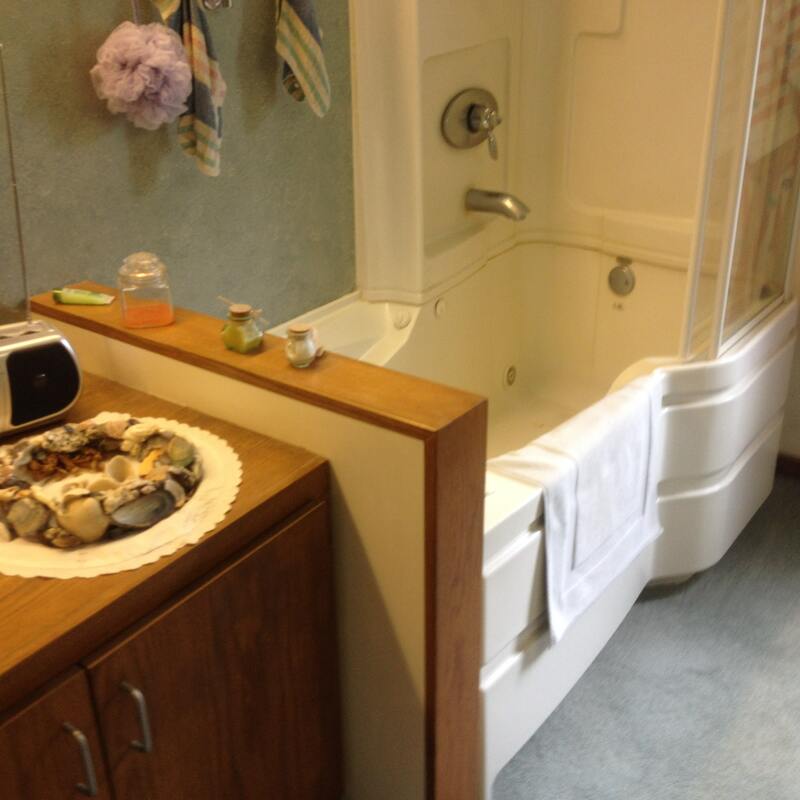 It included removal of a window, the conversion of a tub only bath to a tub/shower combo with custom ceramic tile surround, porcelain tile floor, and new cabinets and vanity top. This new shower was built using a custom poured shower pan, custom ceramic wall tile, and a custom shower window/shelf on the back wall for added light. This new tile shower was converted from an existing bathtub/shower. This full bathroom was remodeled to to give it an updated look. Changes included a new bath tub, new onyx shower surround, drywall repairs, new floor coverings, and a new vanity with Onyx vanity top. 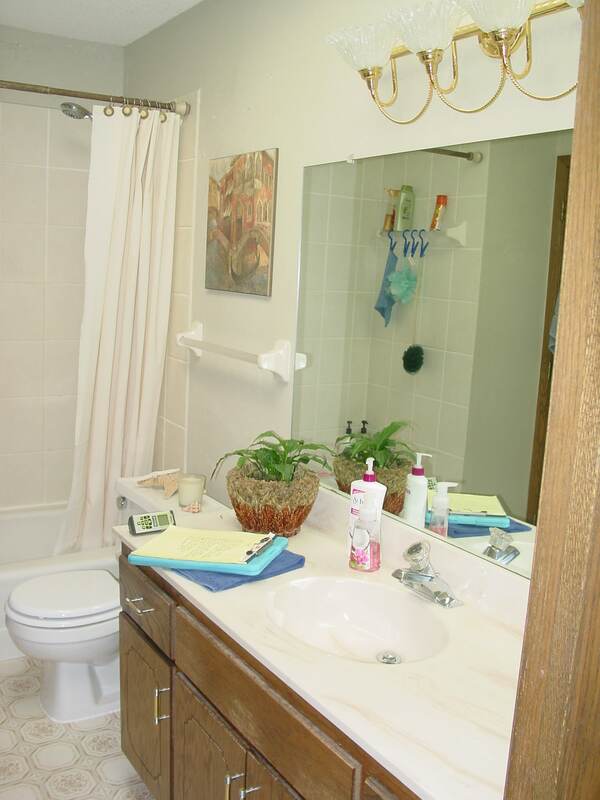 This main level bathroom was almost doubled in size thanks to an addition to the front of the home. 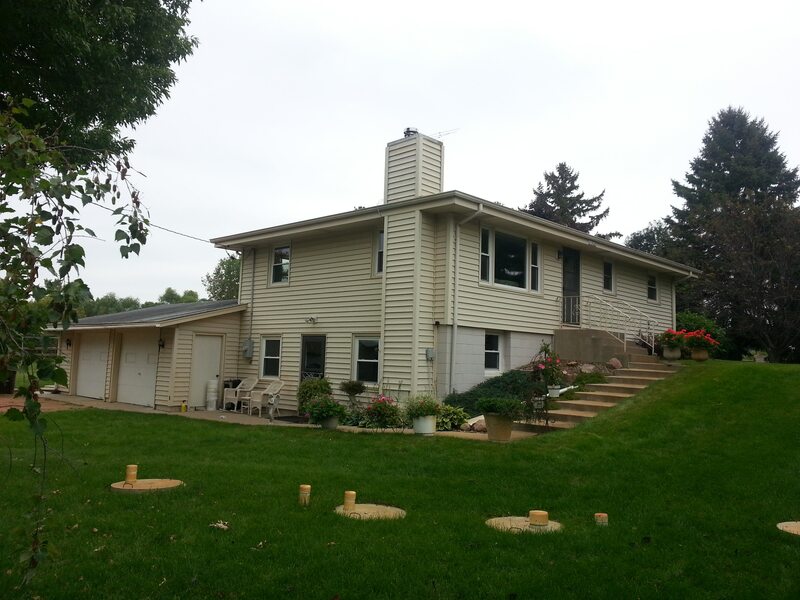 The addition included an ICF foundation, cedar porch, new roof line over the deck and addition, and new shingles and siding. The main level bathroom was converted from a small space with a tub/shower combo to a large bathroom with separate tub and shower stall, tile floor and tub surround, and 2 separate vanities. This bathroom was given a much needed update from the original bathroom. 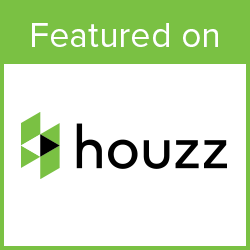 The new features included a new fiberglass bathtub with tile shower surround, new vanity cabinet, new granite vanity top, new toilet, and new floor coverings. 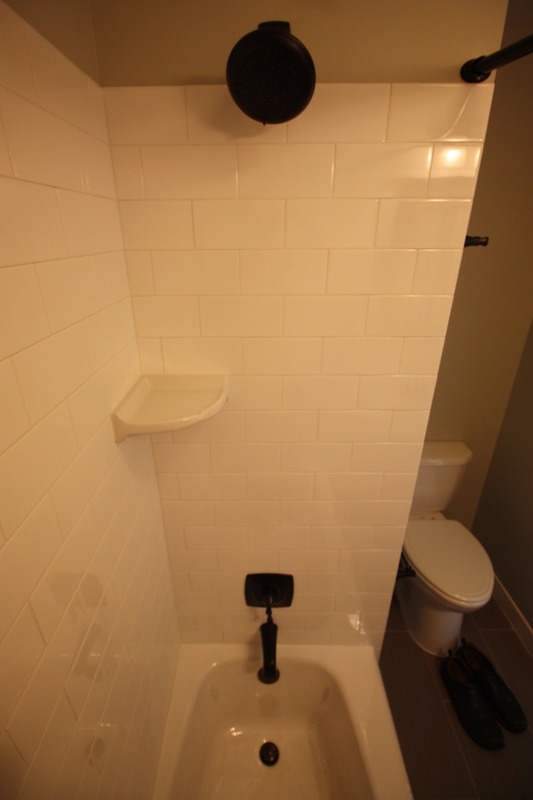 The tile work was custom designed by Building Renewal, Inc. to include a custom tile soap niche and a 360 degree tile wainscot with deco accent top border that continues through the shower walls. This project also included replacing the linoleum floor covering in the kitchen. This basement bathroom was a project started by the customer and finished by Building Renewal, Inc. This bathroom included a custom built in wall storage cabinet, a fiberglass shower stall, and a custom window to allow extra light into the bathroom from the family room. 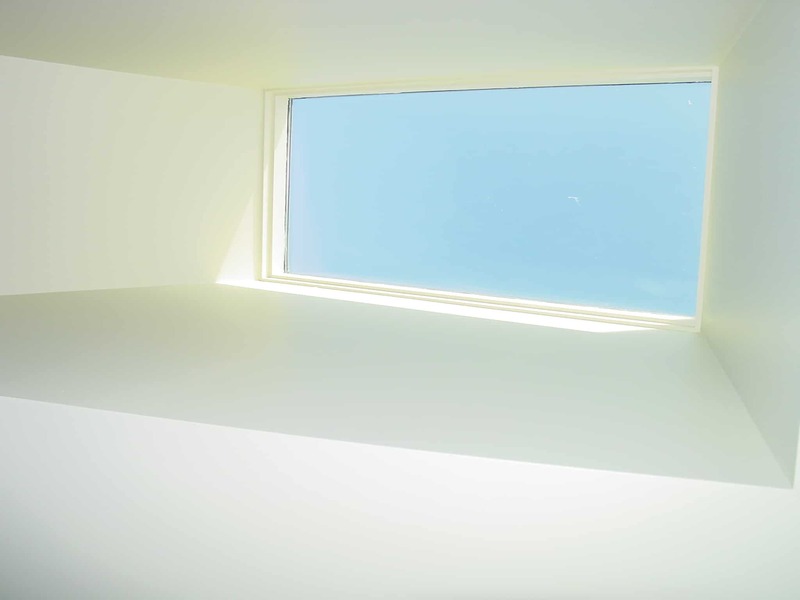 The window was designed to be near to ceiling to allow maximum light transfer, while maintaining privacy. This large master bedroom was designed and built by Building Renewal, Inc. 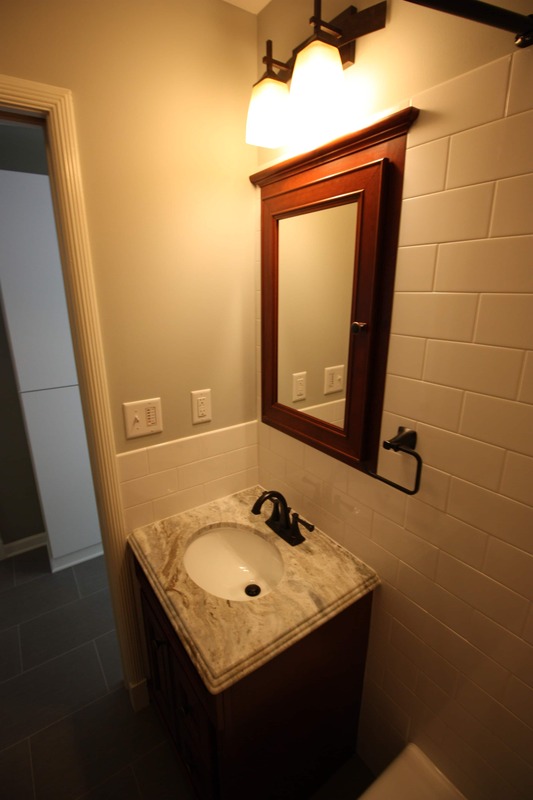 The bathroom has many upgrades including porcelain tile floors and walls, glass mosaic accent stripes, in-floor heat, waterfall linear trench drain, custom cabinetry, and custom counter-tops. The project included eliminating the existing saoking tub and relocating the water supply and drains for the toilet, shower, and vanity. The custom designed shower boasts a custom 3/4 wall, tile bench seat, and dissapearing waterfall linear trench drain at the base of the shower valve wall. The counter-tops were custom measured and installed by our stone counter-top supplier. The cabinets were custom designed and built specifically for this project using clear maple and custom stain/finish blend. The bench seat at the window was milled and installed by Building Renewal, Inc. to match the style of an existing window well bench seat in the master bedroom. A Beautiful Finished Product! 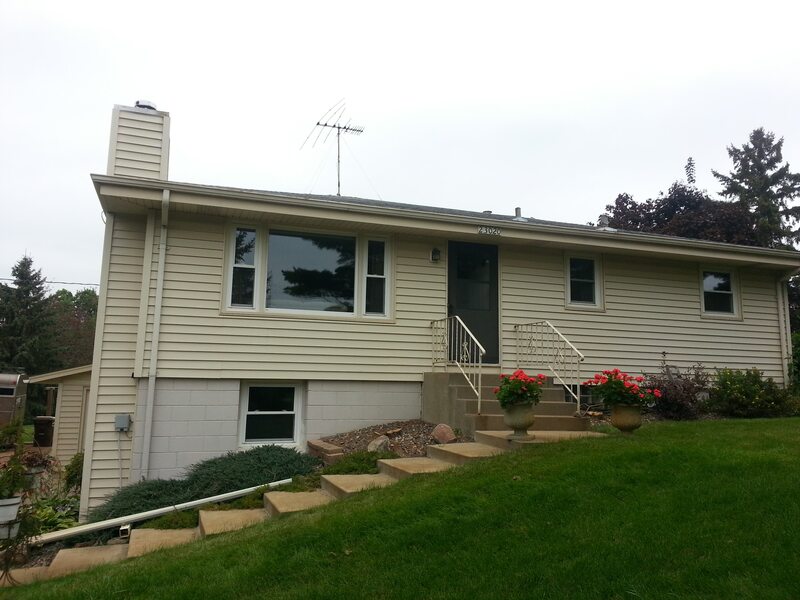 This project included remodeling a main level bathroom and creating a basement bathroom in this 1950’s era home. The lower level 1/2 bath required a full rough-in, along with all of the finish work. The upstairs bath was designed to meet ADA Specifications, including a custom tile roll-in shower with linear trench drain, grab bars, and lower vanity to allow for ease of use from a wheelchair. This bathroom remodel has a few upgrades, including tile shower surround with glass mosaic accent stripe, custom cabinetry, and quartz counter-top. 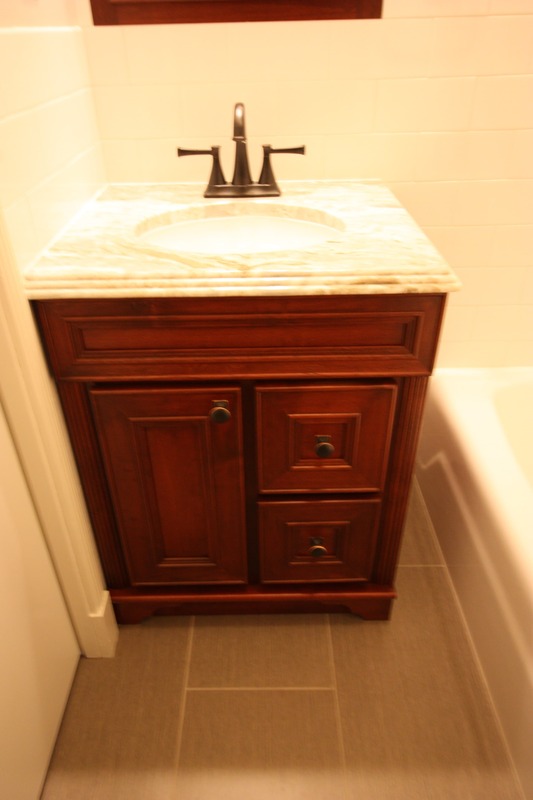 Here, we replaced a pedestal sink with a small vanity cabinet and sink. We also added a wider chair rail and painted the bathroom. This main bathroom remodel included a new vanity and sink, new mirror, new toilet, onyx shower, and heavy glass shower door. This bathroom remodel included a new onyx shower and matching onyx vanity top. This bathroom remodel included a new tile floor, new fiberglass tub and shower surround, new toilet, new vanity cabinet, and granite vanity top. This bathroom remodel included a new bath tub, new solid surface shower walls, recessed vanity lights, and a marble vanity top.